French cameraman Gilles Jacquier was in killed in Syria on Wednesday while on a government-authorized trip to Homs, the city that has become the symbolic center of anti-government protest in the country. France 2 television has just learned with a great deal of sorrow the death of reporter Gilles Jacquier in Homs, France 2, the television station where Gilles worked, said in a statement. Another foreign reporter on the trip to Homs told The Associated Press that the media group was hit by several grenades. Twenty-five others were injured, including a Dutch journalist who was taken to a local hospital for treatment. It was chaos. We ran. There were three or four grenades, Jens Franssen, a journalist with Belgian state broadcaster VRT, told The Telegraph. A few minutes before the accident, there was a pro-Assad demonstration with a few youths. We asked them a few questions. Around 100 metres further on, there was a first grenade explosion, he said. There are few other details known about the events surrounding Jacquier's death and it might never be clear who was responsible. Each side of the uprising continues to blame the other for the violence and killings currently embedded in the popular protests in Syria. The opposition claims that on President Bashar Assad's orders government troops have killed thousands of demonstrators -- many of them unarmed. But Assad has repeatedly denied the claims and said that conspirators and terrorists have been killing civilians and government soldiers. The United Nations believes that 5,000 people have been killed in Syria since March. Gilles Jacquier was just doing his... job by covering the violent events in Syria as a result of the unacceptable repression of the regime against the population, French President Nicolas Sarkozy said. Jacquier was no stranger to combat reporting. 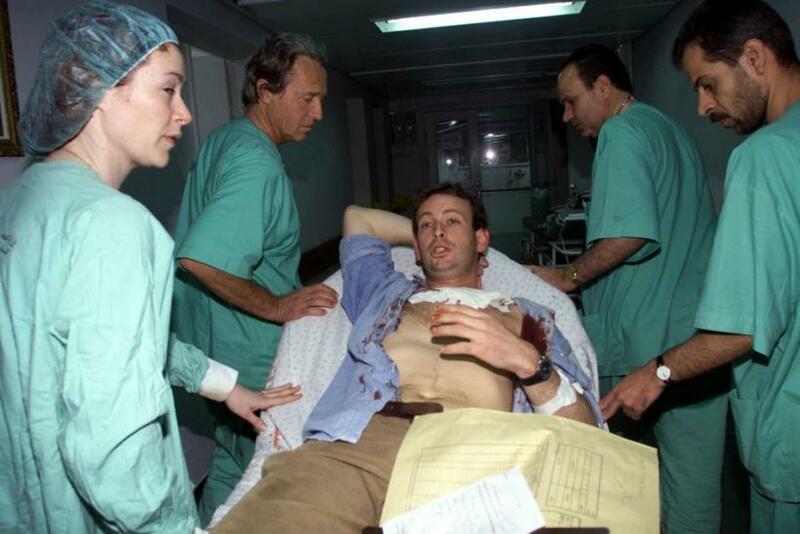 As a war corespondent he had been to Afghanistan, Congo, Yemen, Iraq and Kosovo and was even shot outside a refugee camp in the West Bank city of Nablus in 2002. Journalists like Gilles Jacquier do honor to their profession, noted Franssen. The media is strictly controlled in Syria and Jacquier had to get permission from Assad's government to be allowed into the country. The information that comes out of the country is controlled by the regime and a number of Syrian journalists have been killed or tortured for trying to report on the protests, the AP reported. French Foreign Minister Alain Juppe has demanded an investigation into Jacquier's death and said that Paris' ambassador to Syria had been dispatched to Homs. It is up to the Syrian authorities to ensure the safety of international journalists on its territory and to protect the fundamental freedom which is freedom of the press, Juppe said in a statement.